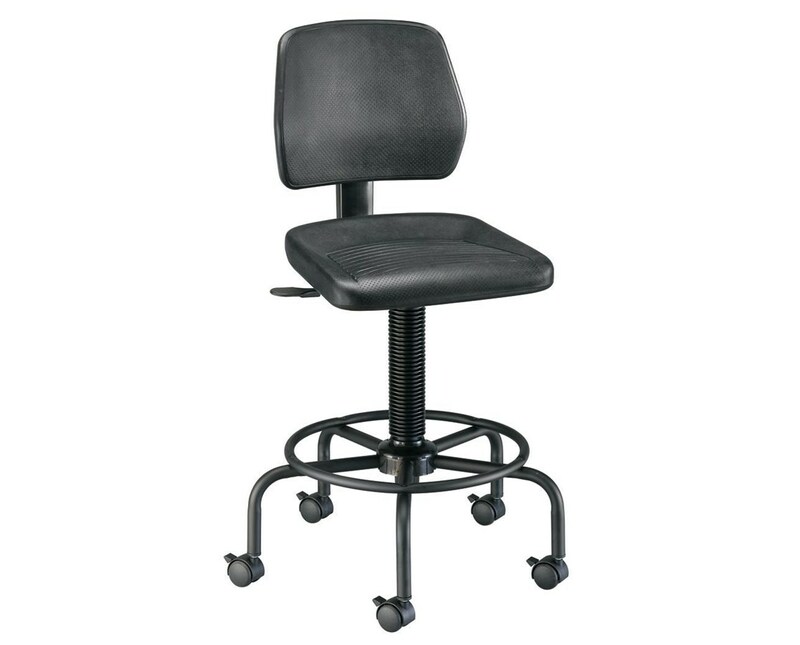 The Alvin Utility Stool With Backrest is a tough and sturdy utility stool with traditional American-style base. It features a 23-inch diameter tubular steel base with black powder coating that provides maximum stability to ensure heavy-duty performance. It has a built-in foot ring and comes with a complete set of locking casters and a set of non-slip floor glides. This utility stool is designed for extended sitting periods. 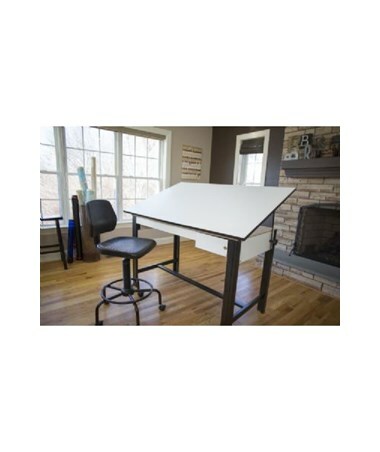 It has a 17”W x 16”L x 2”H seat and 15”W x 12”H hinged backrest with adjustable height and depth. Both seat and backrest made of black polyurethane plastic, this chair is durable and maintenance-free. It resists water, most chemicals and even punctures. 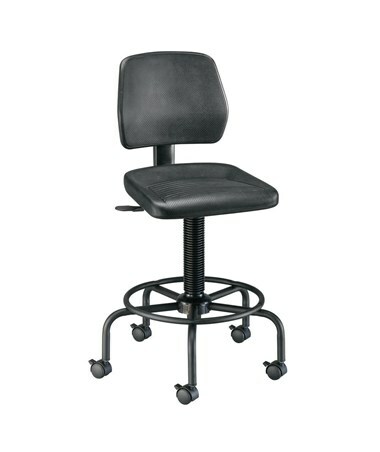 The Alvin Utility Stool With Backrest has a pneumatic height control. Its height can be adjusted from 21 inches up to 28 inches. For additional comfort and functionality, it can be installed with optional armrests. 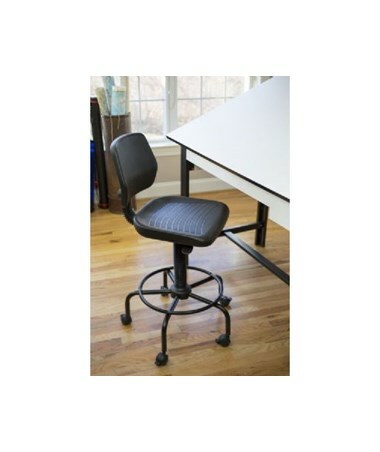 Various compatible optional armrests are available for this stool.